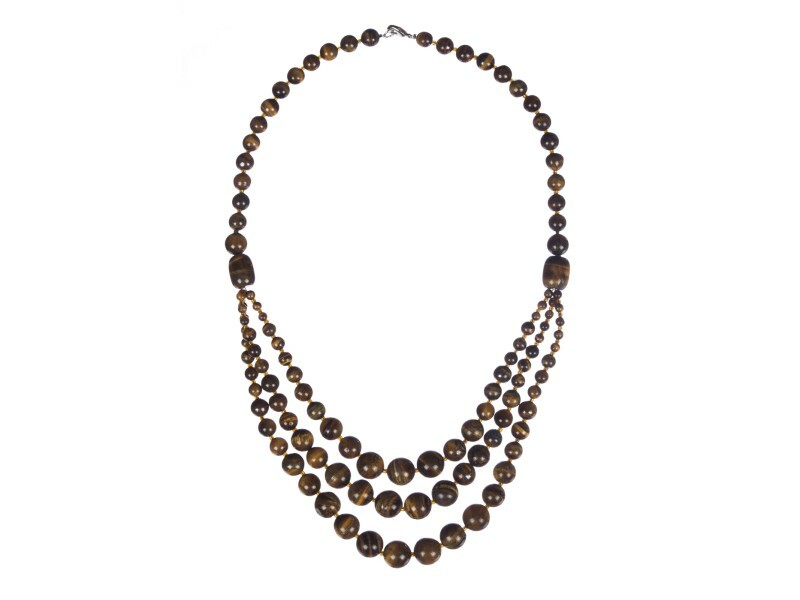 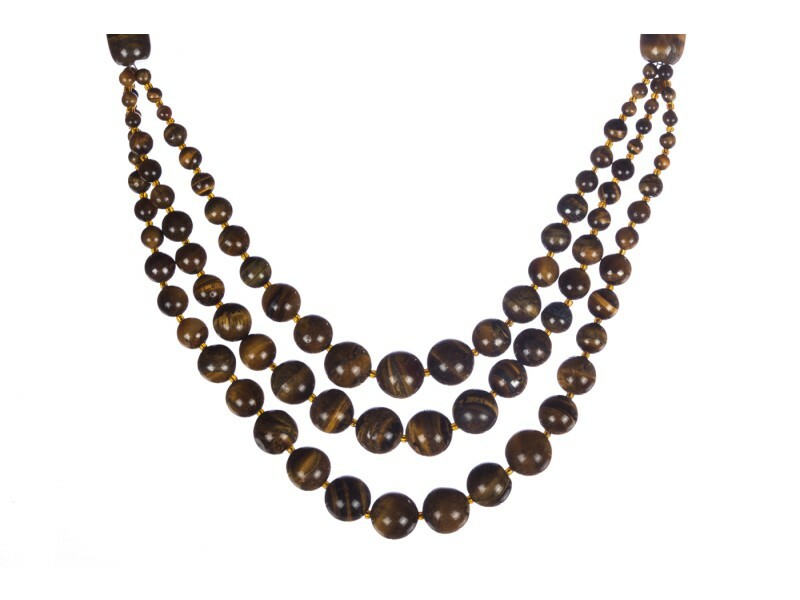 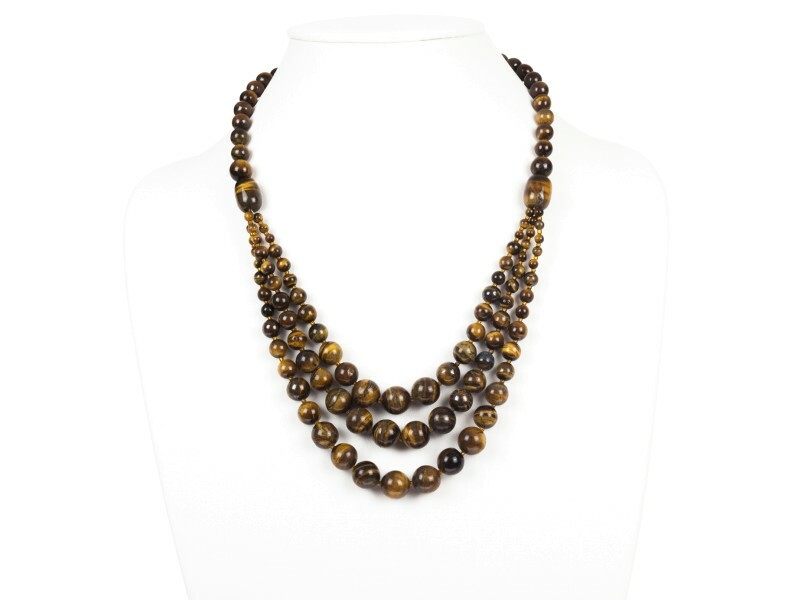 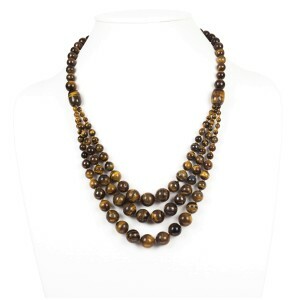 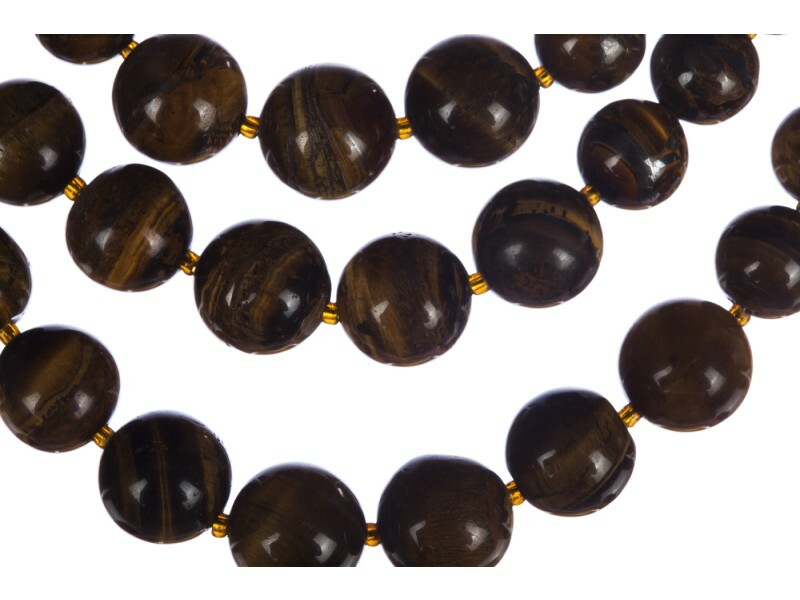 Amazing triple strand tiger eye bead necklace. 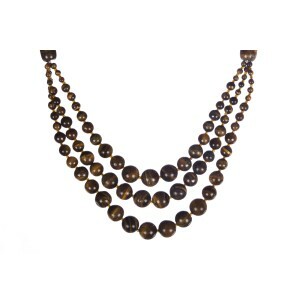 Necklace measures 21” long with approximately 2” drop. 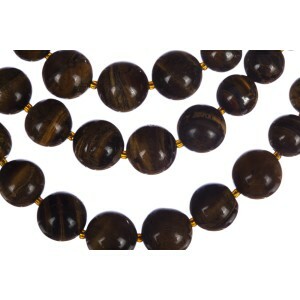 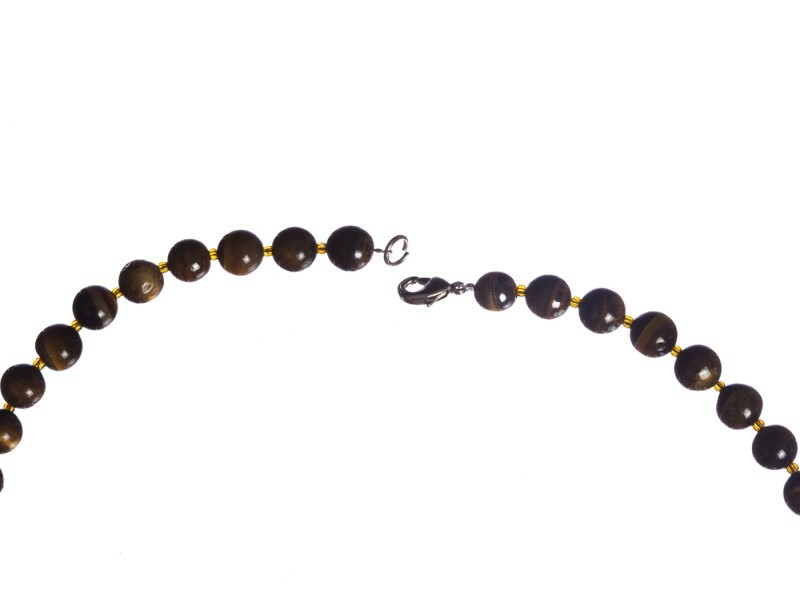 Tiger eye beads measure from 4 mm’s to 12.5 mm’s in diameter. 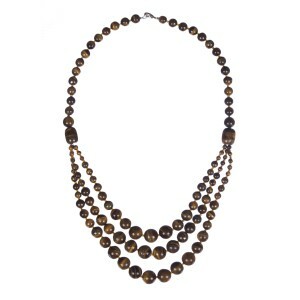 Necklace closes with lobster clasp and jump ring.